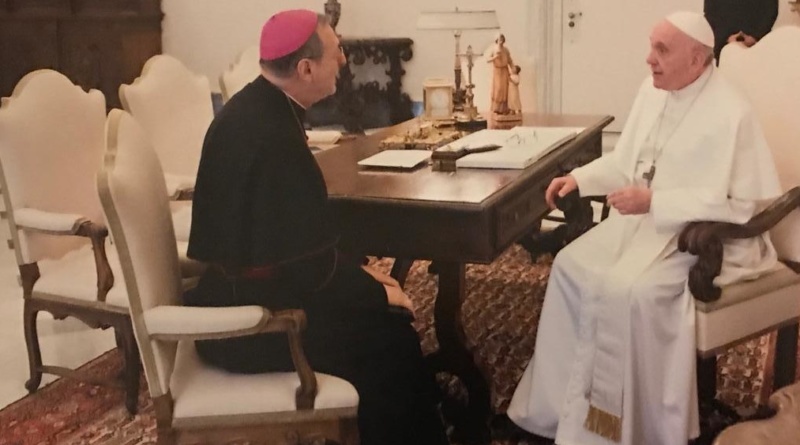 On Monday 21st January 2019, His Holiness Pope Francis, received in a private Audience H.E. Msgr. 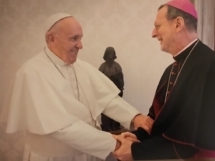 Claudio Gugerotti, Titular Archbishop of Ravello, Apostolic Nuncio in Ukraine. During the meeting the Holy Father manifested that he follows closely and with deep interest the daily events that sign the life of Ukraine, which is particularly dear to him. He dwelled upon the delicate conditions of the relations within the Orthodoxy, on the contribution which the Catholic Churches in Ukraine bring to the well-being of the country, on the political and social environment, particularly the need to make every possible effort in the attempts to favour peace through dialogue, for the wellbeing of the citizens and the commitments to improve the the conditions of everybody and the full exercise of religious freedom. Pope Francis assured His constant prayer for Ukraine and imparted on its people the Apostolic Blessing.